After starting his career as a financial advisor trainee, Keynote speaker David Richman spent nearly 17 years at Morgan Stanley. He maintained the #1 ranking in his training class during the 5 years subsequent to entering production. He soon learned that he had a special strength in leading others to become more successful. He progressed up the ranks from Sales Manager at the firm’s largest retail office to Branch Manager to Complex Manager in several different Southern California markets where he was responsible for dozens of branches and hundreds of top-producers. He was a consistent leader at the company in retention of top talent, driving sales, innovative practice management, and developing strategic internal/ external partnering. 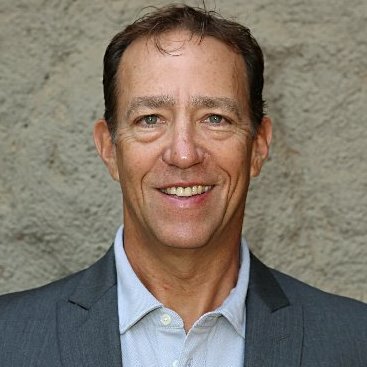 Over the last 10 years, he has completed over 50 triathlons, including 13 Ironman distance triathlons, more than 50 runs longer than marathon distance, several 24-hour runs, and recently ran 104 miles from Santa Barbara to Manhattan Beach and biked 280 miles from Manhattan Beach to Las Vegas. This presentation will awaken you to a new mindset, where all the power lies in the middle of the pack. Instead of looking for marginal improvement in your top performers, or wasting time trying to motivate only your poorest performers, inspire and empower everyone to be an agent of change in their own life and watch them become leaders in your organization. Learn the Beach Ball Premise, which allows you to hone in on what drives people to change their behavior; discover how to identify and remove organizational, job-related and personal obstacles holding back your team; and get insight into why allowing failure breeds success. This presentation will awaken you to a new mindset, where all the power to achieve is in your hands – not anybody else’s. Instead of blindly doing whatever your boss tells you to do, set your own meaningful and achievable goals, find your own spark of motivation, and reach maximum success in your business and your life. Identify your life goals and find out where your work fits into them; assess your strengths and weaknesses and understand how to remove obstacles holding you back; and learn how to make meaningful change on purpose. Meaningful change is not just something you close your eyes and wish for: it has a learnable, repeatable process. In this interactive, dynamic workshop, David will walk you through the ten steps and teach you how to use this process with your managers, brokers, support staff and your team members to inspire them to greatness. This interactive, eye-opening workshop offers you the chance to dive deep into understanding both your own values and other people’s perspectives. Learn how to hone in on what drives people to change their behavior and become leaders in your organization.